Earlier this week, guests gathered at Cipriani Wall Street in New York City for the Food Bank For New York City's Annual Can-Do Awards Dinner. This year’s dinner, hosted by Mario Batali, honored Dan Colen, Joey O’Loughlin and LAVAZZA for their commitment to hunger relief. The evening also featured a special performance by Ledisi. The Can-Do Awards Dinner is instrumental in helping to provide support for the 1.5 million New Yorkers who rely on Food Bank For New York City’s programs and services. 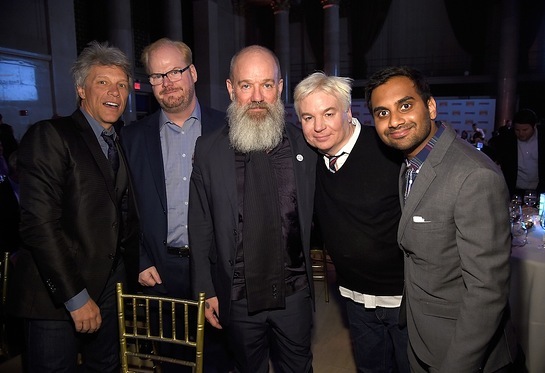 Additional attendees of the evening included Jon Bon Jovi, Aziz Ansari, Jim Gaffigan, Mike Myers, Michael Stipe, Katie Lee, Stephanie March, Bryan Greenberg and Debi Mazar among others.